Some days ago I shared with you my first obsession but I forgot to upload the other one. 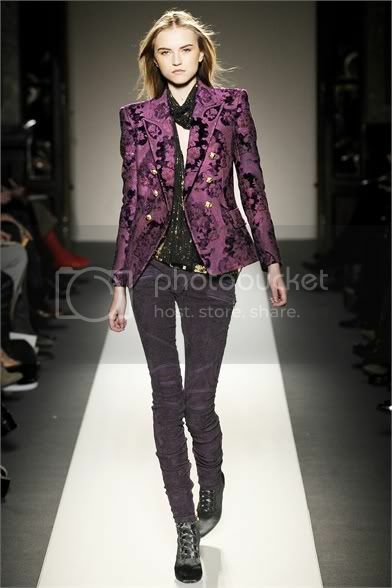 My second obsession in these day is Balmain purple pants. I am not a big fan of purple tones but this one is very dark and suede make it beautiful and desirable. 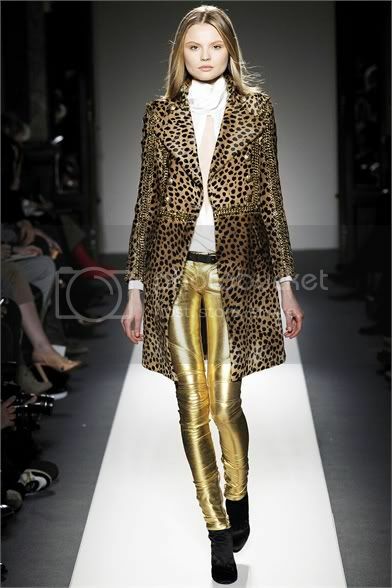 I like how this two glamour women (Daria Werbowy and Barbara Martelo) wore it in a rock-retro way. 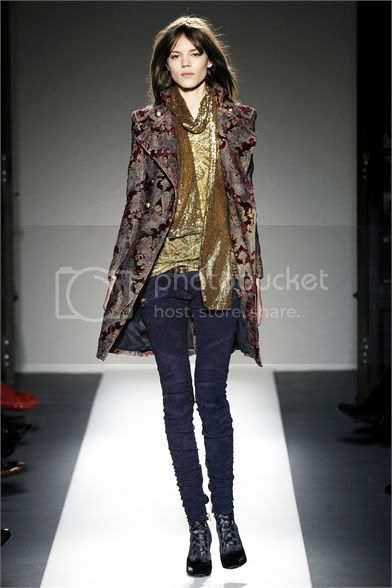 This item is available in black/blue, light purple, dark purple suede and in gold leather. I remembered how I was excited when I have gone in Balmain store in Paris!